In this dynamic travel narrative, some of Africa's foremost professional guides reveal their take on the safari experience. From elephant-back safaris and walks in the bush to travels within the protective confines of a vehicle, the guides tell stories of how they roamed the countryside, journeying to locales such as Botswana, Sabi Sands, and Soit Orgoss in northern Tanzania, Zambia, and Zimbabwe. 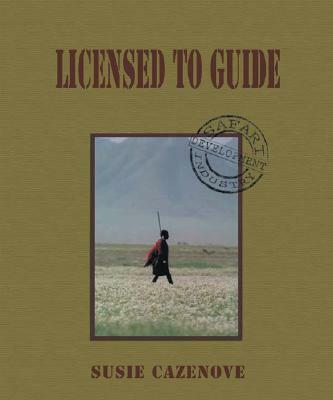 Through their colorful biographies and amusing and hair-raising anecdotes--including encounters with wounded buffalo and dramatic escapades with elephants--these fiercely independent professionals provide insight into their dedication and passion, offering an ad hoc appraisal of the evolution of the safari business into a sophisticated industry. A selection of drawings and photographs and background information on the lodges where these individuals are based further illuminate their surroundings. Description: Ex-library copy with the usual stamps and markings. Interior pages clean and unmarked; tight binding. 233 pages.